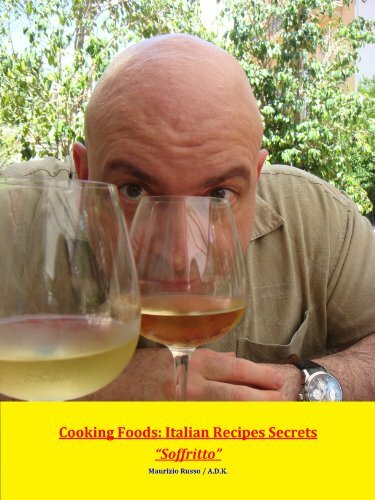 First of all, if you want to make this recipe “Vegetarian” please do not put the Prosciutto, and you still have a wonderful, tasty and original “Mushroom Sauce”. 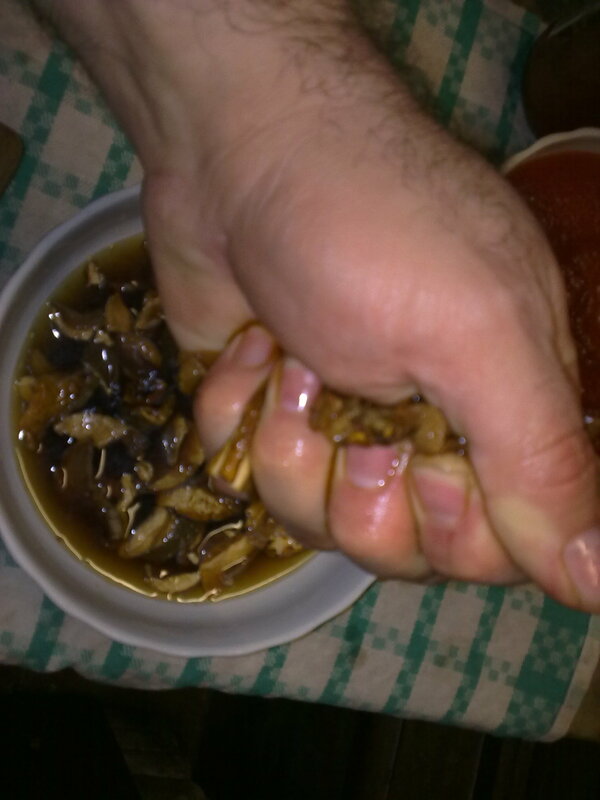 Well, if you can get fresh “Porcini” Mushrooms will be better! 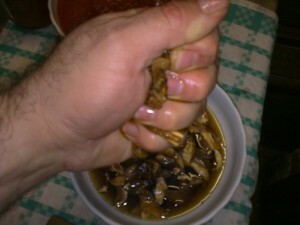 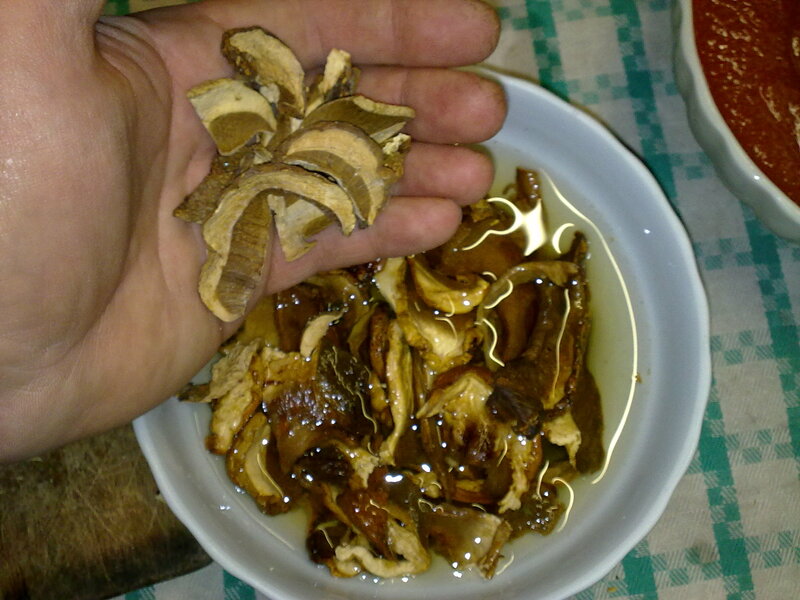 but fresh mushroom are in the market only on the right season, so if you like mushrooms sauce so much alike me, use the dried “Porcini” choose the best quality, choose the heads which are more tasteful, look that the dried mushroom have a nice brown, yellow color and that there is no evidence of deterioration like powder and debris. 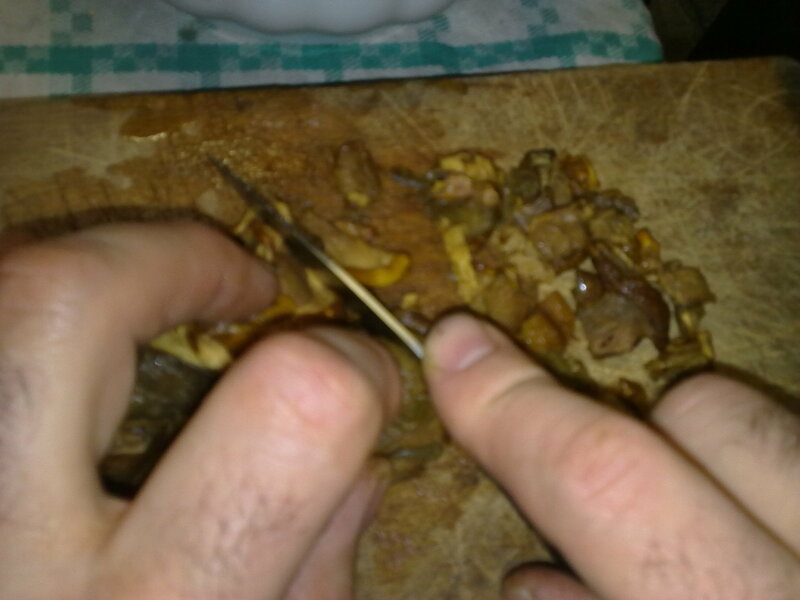 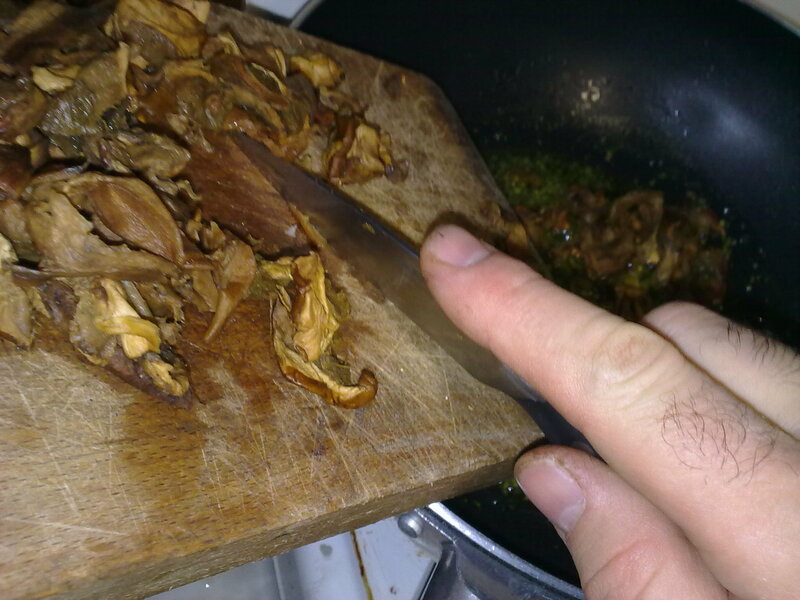 cut in small pieces the mushrooms: if you like big pieces simply do not cut! 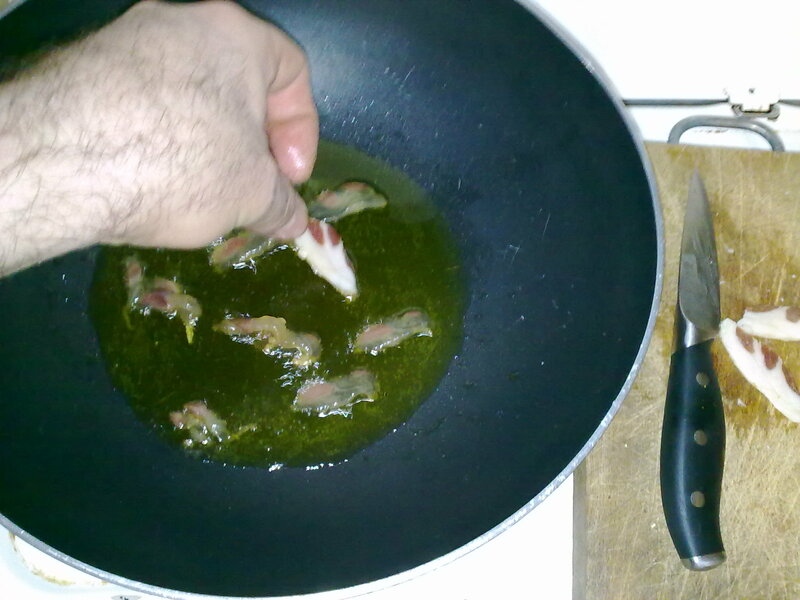 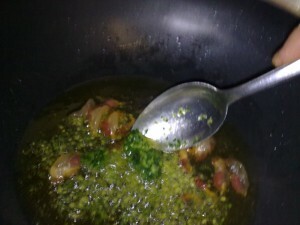 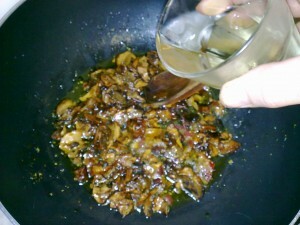 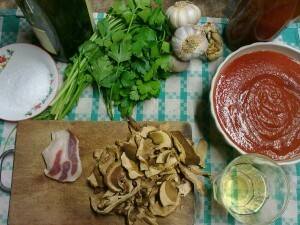 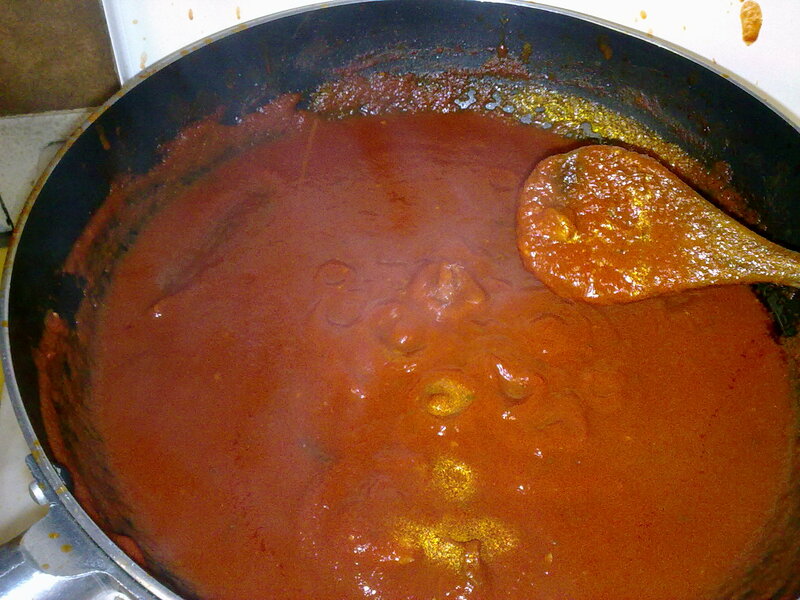 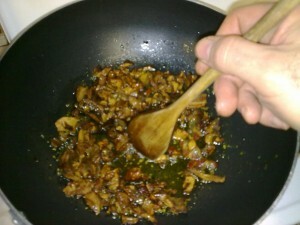 add the two spoons of Garlic & Parsley mix to the pot, do not leave to cook too much…. 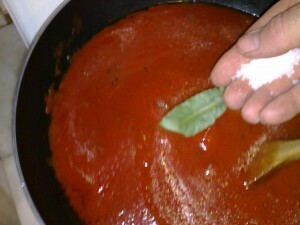 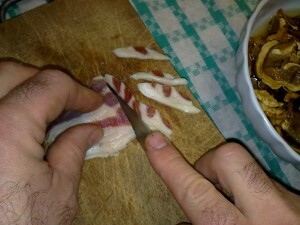 the same for the Marine Salt: add two-three pinches of Salt! 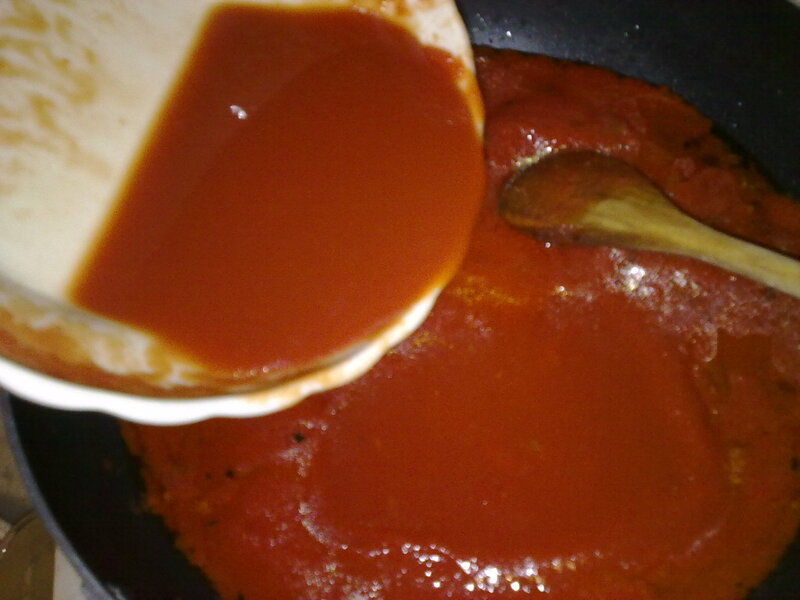 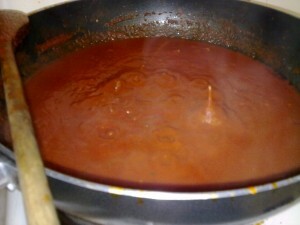 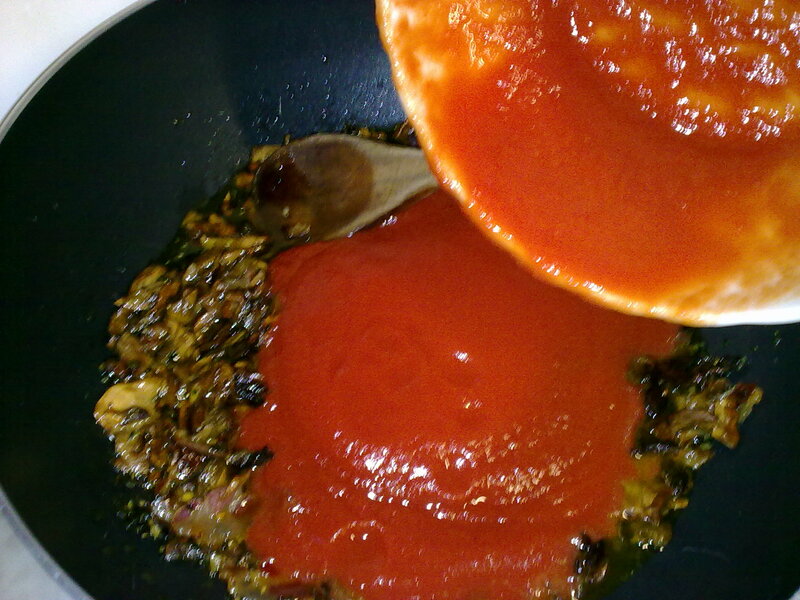 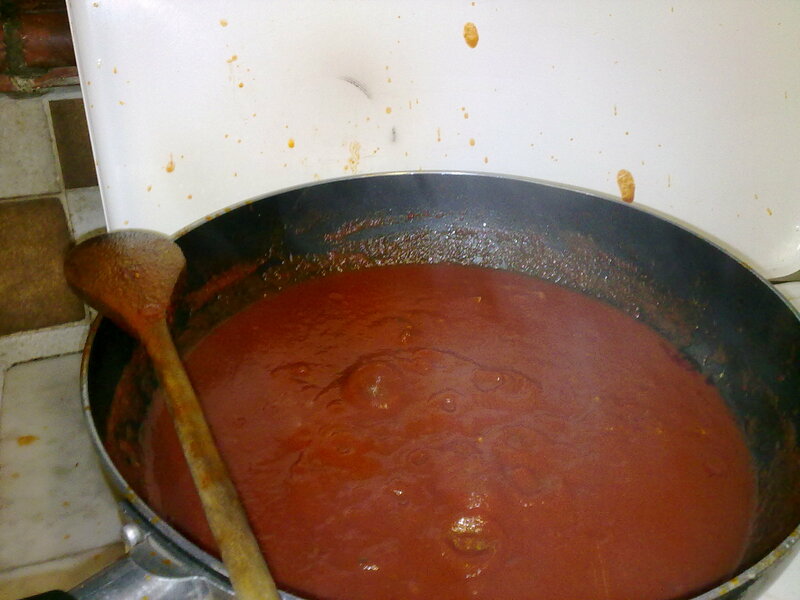 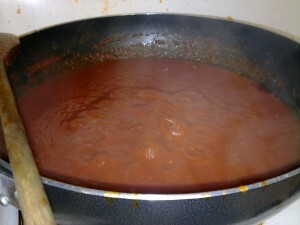 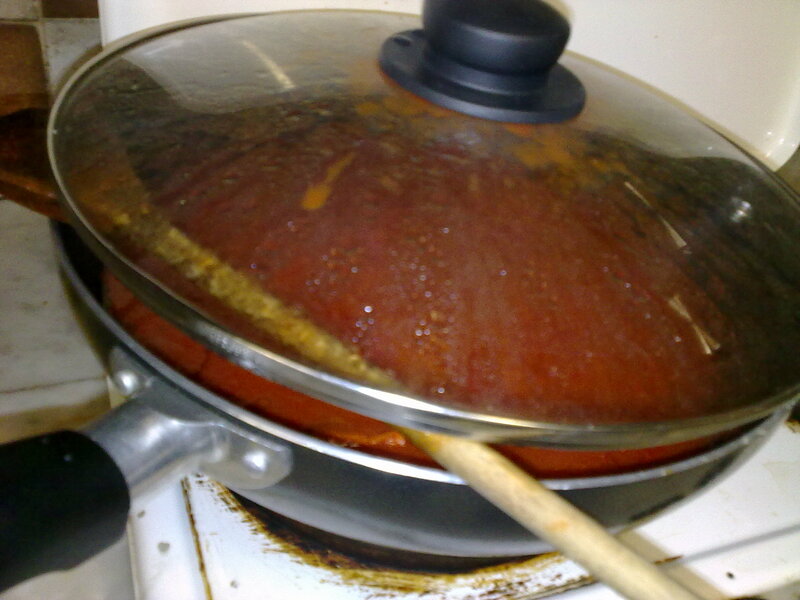 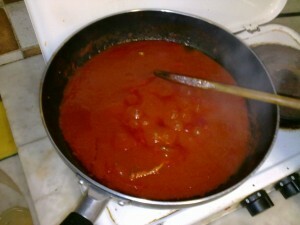 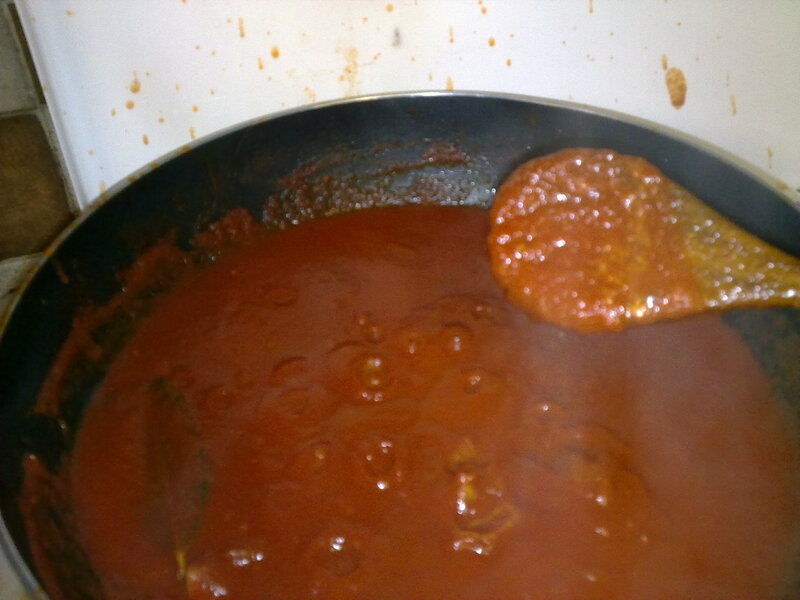 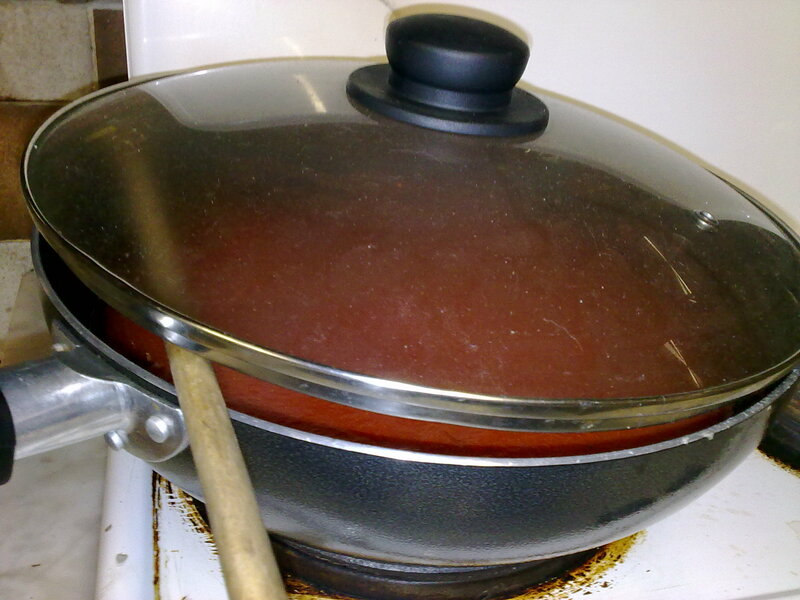 you can see in the picture the sauce jumped on the top of the lid: pay attention to your face and eyes when you open the pot! reduce the fire before to stir! in particular the “lavic” drops! 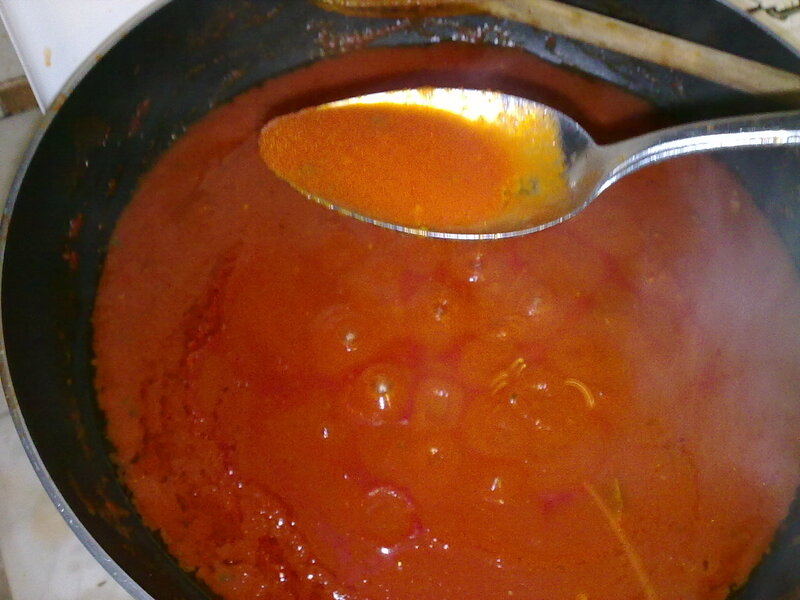 I boiled the “Pasta” already! 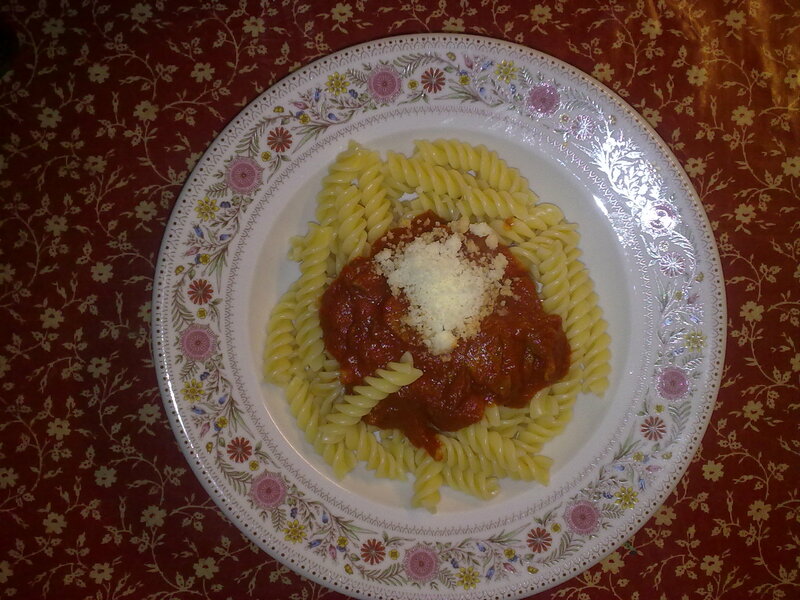 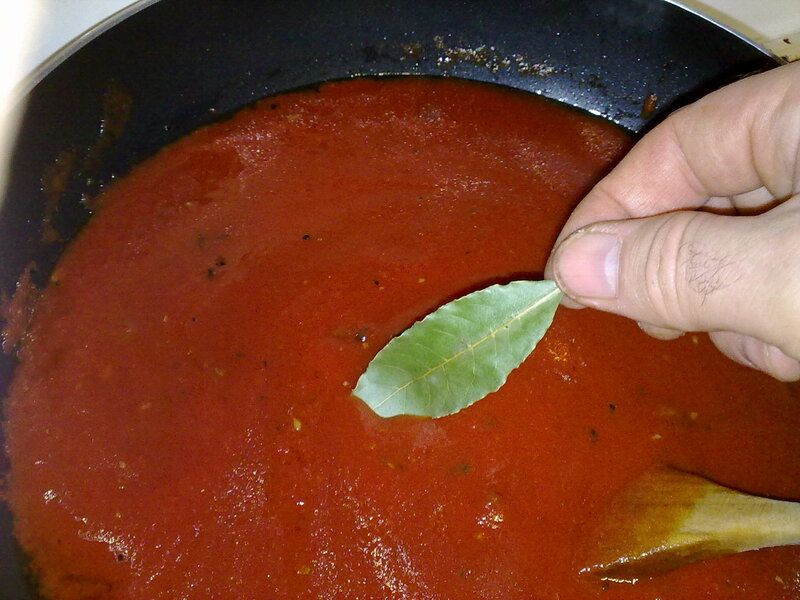 put two-three spoons on each portion of pasta (80 grams – three ounces) a bit of “Parmesan” cheese on top and enjoy!